I'm sure that I've mentioned this before, that I join a local photography competition. As you can see in the picture above, well, I came out as the 1st runner up. It is still unbelievable that I was in the top 3 out of 50 participants. It was never in my dream before, that I could get such achievement and positive feedback from the competition judges. And a little bit about this competition, it was held by one of the biggest wedding studio in Medan, New York Art. 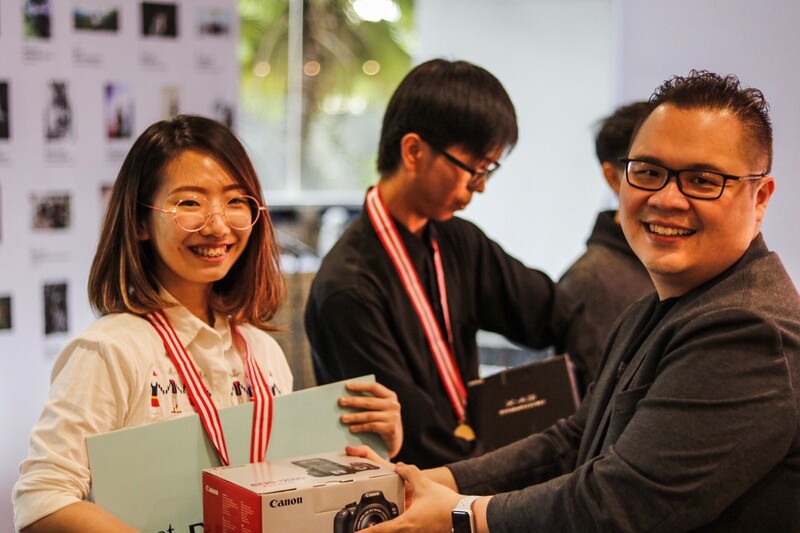 It was called "Sam Lee Photography Goes To Campus" Portrait Photography Competition since Sam Lee, is a well known photographer himself, and is seeking for young people with photography talent. So now, let me tell a little bit about my experience in attending my first ever competition. I was hesitating about whether to join or not to join the competition after I saw the A3 sized flyer in IT&B Campus Announcement Board. I have this big passion in photography, but I was thinking that I am not good enough to compete with another young photographers in Medan. But then my mom encouraged me that I should join the competition, without thinking about how the result will be, no matter if I came out to be the winner or not at all. And thanks to my mom, I changed my mind. 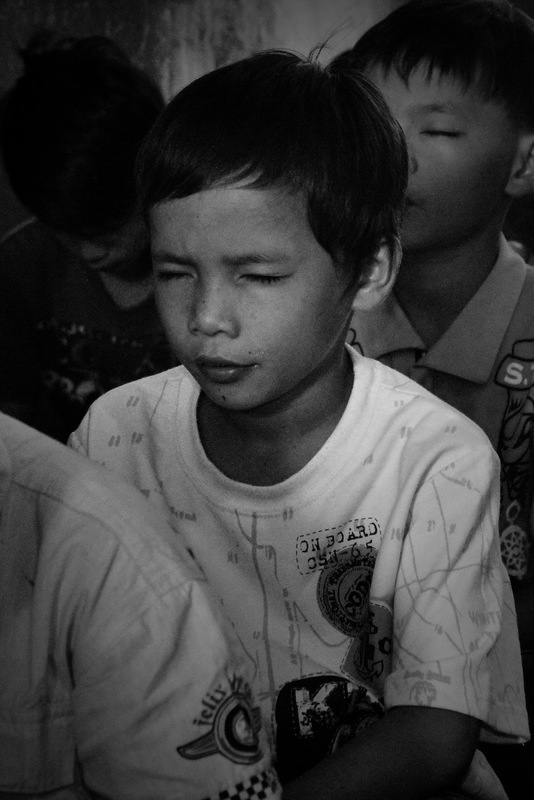 I signed myself up for the competition and submitted the photo above, according to the Portrait Photography theme, with the title "A Child's Prayer". On last July 26th, 2017, the finalists of each Campus were announced, and I turned out to went as the finalist of IT&B Campus. Before I continued, let me explain that there will be 4 winners taken from this competition. 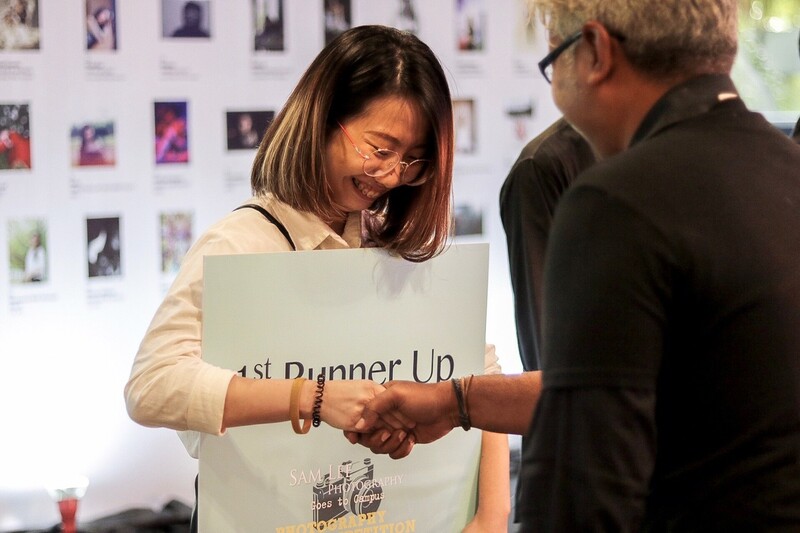 The 1st, 2nd, and 3rd rank will be chosen from 11 finalists of each Campus by the competition judges (includes Sam Lee, New York Art Fashion Stylist, Weddingku's COO, Maxx-brides' Editor-in-chief) While the 4th winner (Most Favorite Photo) will be chosen from the participant with most votes from supporters. I was trying so hard to gain more supporters to vote for me on August 2nd - 6th 2017 because seriously, I thought I had no hope for the 1st until 3rd rank. 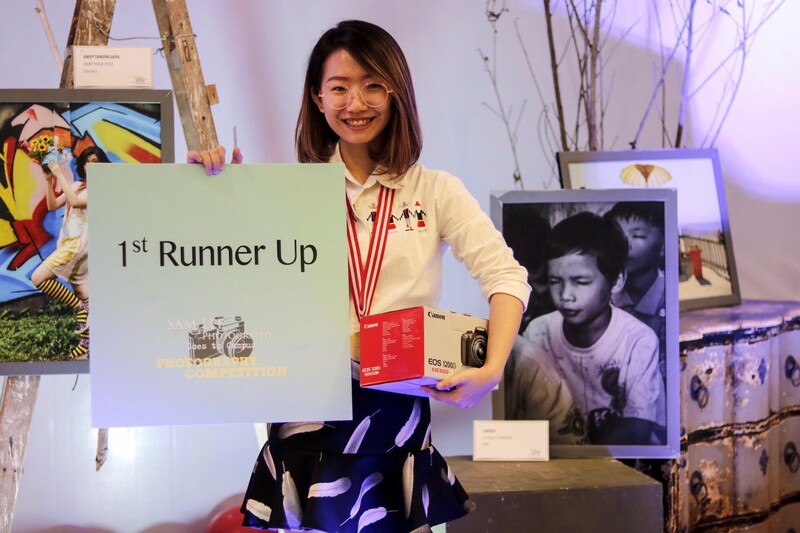 So on the last day, 6th of August, in which the winner will be chosen out of 11 finalists, we (the finalists) should do a presentation about the photo we submitted in front of the competition judges and the audience. I was shaking and trembling, I had a stomachache and cold sweat ran down along my body that day. To be honest, the thing I had the most is when I had to do public speaking session whether it is in class or wherever. But that day, everything went so smooth like, I had nothing to lose. I spoke out the story behind the picture, why did I chose to submit the photo and I answered to all questions from judges smoothly. 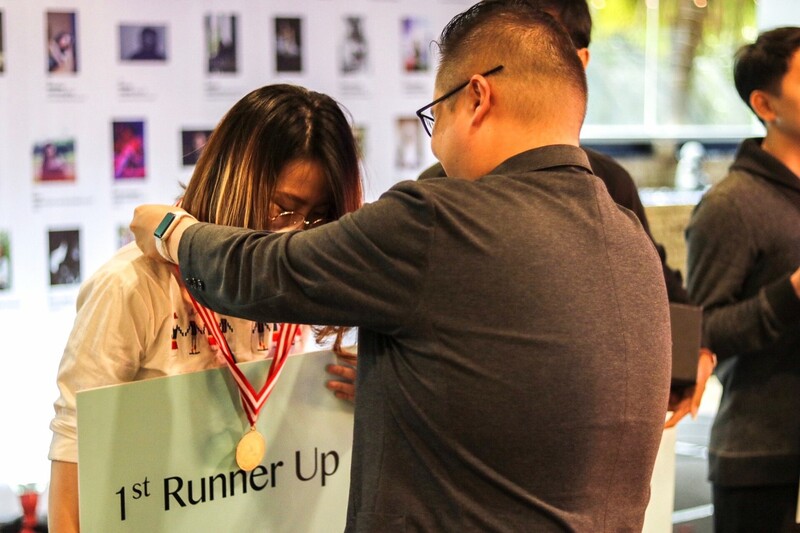 And in the end, on the medals handover session, all of the finalists were called to stand on the stage, and one of the judges will handed over the medals to the participants that didn't went out as the top 3. When the first medal was taken from the table, the judge first walk towards me. "I knew I'm going to lose", that's what I thought at the moment. But then the judge walk over passing me to another participants and I was relaxed, for a least some seconds. One by one was eliminated by the judge, and when there were only left me and another two participant, I started to cry. I repeat, I STARTED TO CRY! Shedding tears of happiness, I was so thankful. Never even once I thought I would make it to the top 11, or even to the top 3! This is a very worthwhile experience for the whole 20 years of my life. Coming out as the 1st runner up (2nd rank), I didn't even dare to dream about it before. But may this experience be the beginning to a brighter future of mine. Such an amazing post! Congrats! Congratulations!! Your photo is beautiful.